@Elemental - you can always ask us for a demo game! Be happy to provide you with one, depending on where you are. Videos are being worked on too, it will take a while though. The videos will help a lot, as will the 'quickstart' and/or 'just read these rules first if you're new here' sections. Personally, I love a detailed 'crunchy' ruleset and I think the aim here was to make everything as clear and as unambiguous as possible. I'm still waiting for my book to arrive - but the full rules are available on the Mierce website in PDF form - and once it does I'm planning on diving right in! I know that good videos take a while to make, but having tried to power through the rules online I'm a bit concerned about getting new people excited a bout a game with such a dense and somewhat inaccessible rulebook. Most gamers I know don't actually approach rulebooks by reading them cover-to-cover and instead just reference parts they need, so I think the robustness of these rules might actually help resolve clarity issues in those instances, but those videos would go a loooooong way to making the game more accessible to new players just starting out and learning the rules. "They have explanatory videos on the way at some indeterminate point in the future" is a tough sell. We want to get more people into your game! Please help make it easier for us to do it! The rules in the rulebook are the same as the ones we got in the KS1 quick start minibook right? If there are changes has an errata been put out? I wonder how much larger the troll is compared to the "regular" trolls. He's going to be a modification of the Blood Maw sculpt - so quite big! What the hell Thats so great! That does look pretty monstrous! I'm in the same boat. I think the current trend for simple games can be taken too far, to the point where it just doesn't feel like there is any meat on the bone. Have tried contacting a couple of UK retailers (Firestorm and Wayland Games) and neither are stocking the rulebook apparently, which is a shame. So looks like direct order only unless any of the other shops deal with a different distributor. Wayland don't actually stock Mierce stuff at all, which is a surprise considering they sell pretty much everything in the hobby ! You could try element games. 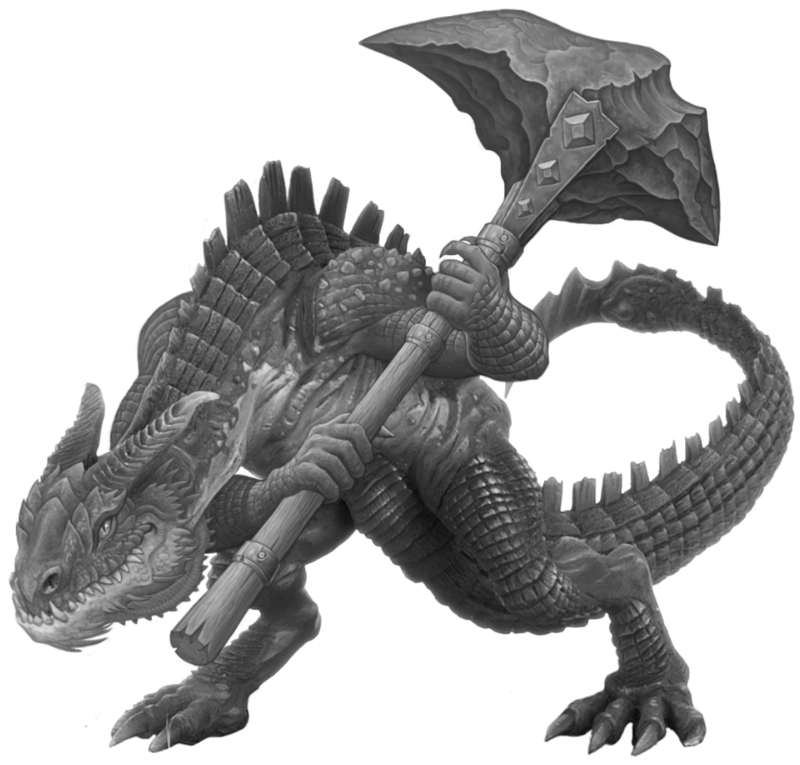 They stock quite a few darklands resin minis & may be getting in the rulebook. Element Games are the best - I even sometimes order from them over here in the US! It's not really surprising - Wayland and the owner of Mierce have a bit of a history. And yay! Got my shipping notification for the rules today. Same here - looks like they've finally reached the "USA" section over at Mierce Towers! Can anyone tell me when the Jutes will be available to order from the Mierce website? I missed the KS for them and I'm anxious to get my hands on some. Drop Mierce a message to see if they are willing to open up to late pledgers - if yes, then join the Kickstarter! They've been pretty open with opening up, but the Wihtgar maybe winging their way to a release, so probably won't be available. However, the Gasts, Wihtax and Wihtboga are still available in the pledge section. Very true! I had forgotten about that business.. There's also the 'reprise' infantry starter hosts on Savage hordes (and sh2) which, rather than a monstrous unit, contain a large monster (as well as a gbp60 host with a bunch of the big floaty dudes) Those are still open to backers iirc? Not to mention the sh or sh2 ranged infantry hosts; there should be plenty to choose from if rob is OK with granting access to the 2 previous kses. @Badger - depends where you are in the south east, but if you pop on our forums - http://mierce-miniatures.com/forum you should be able to see who's available in that area. We have a sell-sword - Rob Boyce - in London so he may be able to help too. @Bolognesus - yea, if anybody wants access, just mail us. @George - yea... I expect Bānbreca to make it to £100 RRP eventually, so he'll probably be £120 RRP. Get Bānbreca while he's this cheap, trust me! You won't get the archers on top though - they'll be options in terms of numbers. Of course we need to get to £50K for that to happen though, and I hope it does, as I'd like to pick him up! Once we hit the next stretch goal I will put the Hydrar Unit up at £35,000. It'll be a full unit of five, Hirakoth will be retired, as they'll all be digitally sculpted. £100 RRP though, so £75 here. Considering I still haven't finished my Krokodar (and hopefully I'll be getting my mounted Agriosavra soon, and Srok's head), I'm not sure if yet another unit of monstrous infantry are what I need. 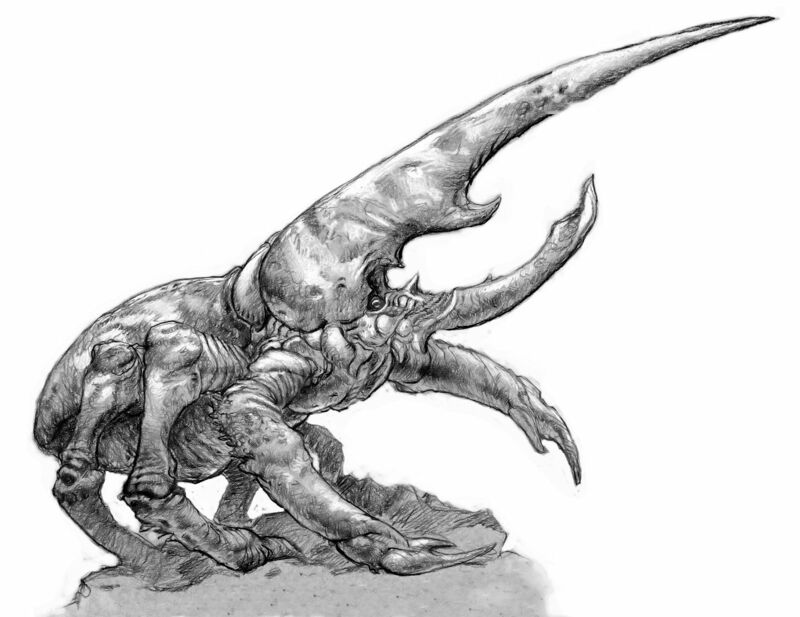 Have there been pics of the Hydrar, that's not a unit term I'm familiar with from past campaign / art teasers? Can't wait to see what the miniature turns out like! I,.. I need that giant. I NEED it like I need air to breathe. That's an interesting tidbit about Hirakoth getting retired. As far as I know, he's the only one that was actually hand- sculpted. Thoth and the other one were both digital sculpts already. huuuuuuuuuugh I don't think I can afford to get either of them. That giant really is impressive. If that thing funds I may even have to get one myself, and I have no real vested interest in undead of any sort. 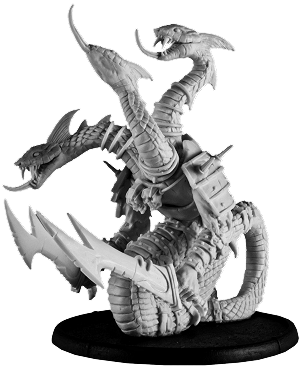 Ah - to be honest, I haven't been a fan of any of Mierce's "snakemen" sculpts other than the ACTUAL Hydra... which just kicks arse. That platform must be wildly unstable. Surely it would tilt and rock with every step he took. I am ALWAYS here, ALWAYS lurking beneath the surface. I may not comment constantly, but I KNOW. I'll get more excited when we see some actual shark people sculpts. Hopefully they are appropriately sized, unlike CMON's offerings, which stylistically were great, but just too shrimpy for me. I'm just really looking forward to a Mierce Whale-Man! And, you know, just about everything from this campaign, of course! That thing is just massive. Did they give a scale comparison? Is there anywhere on this site or elsewhere to discuss Darklands the game? I've just got my rulebook, and as impressive as some of the artwork is, and its a professionally-produced looking rulebook, the rules just look unplayably complex. You have to roll for the weather, not just at the beginning but throughout the game! Perhaps go ahead and start a 'Rules Discussion thread'! Would be interested in reading people's takes on the rules before I'm able to get hold of them myself. ...I'd like to see this happen too - let's get some Darklands discussion happening right here in River City on Dakka Dakka! Slabs of wood and a cooking pot lid does not an armored warrior make. 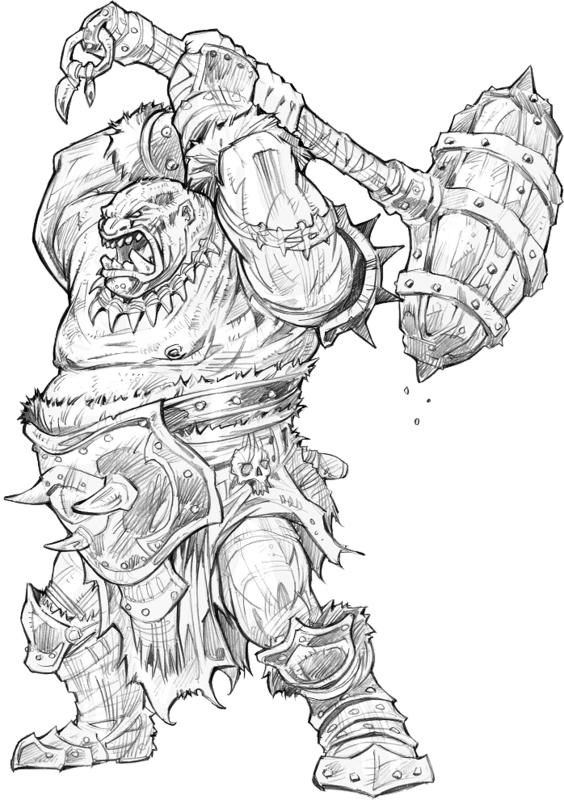 I've often wondered how an Oghurithne would look with my big red horde of various other Ogre type races. Albainn are the Naked Nutters Kindred - that guy's practically completely covered up in armor! We're just about to unlock Choloch so it would be rude not to give you another monster to go for. So here's something for the Anglecynn, Howling Cnebba, set at £23,750 to unlock - which is just around the corner! Howling Cnebba is an alternate of the fantastic wolf-beast, Cnebba, and is a Feral Monstrous Beast of the Anglecynn. There's not many big Anglecynn monsters and many field two Mægenwulfas, so here's one to make things a bit different for you! Increase your pledge by £37 to purchase Howling Cnebba, who will only be produced in resin. Howling Cnebba is a SMALL MONSTER and so can also be included as a monster within in the FIVE MIGHTY MONSTERS reward! @I-Bounty-Hunt-The-Elderly - you don't have to use weather; that's a master rule, i.e., for people who know the game inside out. 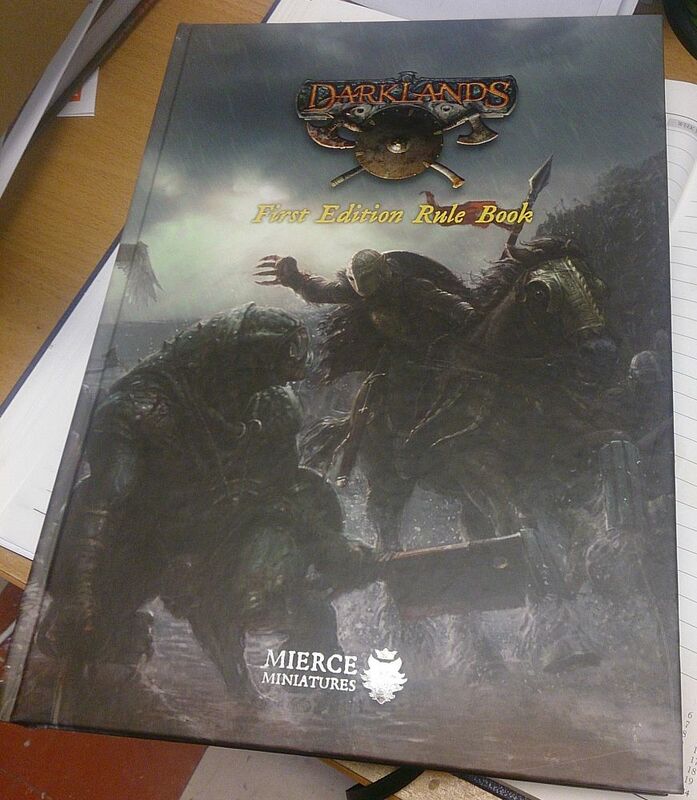 See p6, read the "Darklands Beginners" scroll. That tells you what you need right from the start. I usually like the idea of snakemen but find the execution doesn't work for me. I picked up Xontor though, because it's just so Harryhausen that nothing else matters... and because I think it's actually easier to make good half-human / half-snake hybrids than to make an actual anthropomorphic snake. I'm still undecided as to whether to paint him like a half-human / half-snake, though, or more likely, do bronze and verdigris and have him be a construct. Just a note that I fixed your link, Mierce (had a period at the end making it not work). Whether here in the Misc Forum linked to above (which is ripe for Darklands discussion!) or on the official Mierce forums, I'd love to see more discussion of gameplay now that the rules are printed and in the wild . Exciting stuff! I know that's what I'll be doing - once my rulebook shows up. It is somewhere between Mierce Towers and me, probably on/over the Atlantic as we speak! What's the funding level set at for them? Thanks for replying to that. I appreciate the Beginners guidance, and looking at it I'm sure that much of the basics like sight and movement will be easy enough to absorb for experienced gamers. I think my initial impression, that its a massive hunk of rules, may deter some people from trying your game unless there is a healthy amount of beginners guidance online (p6 mentions videos etc for example) and a growing playerbase. I really hope this does come about as its clear a lot of thought and attention to detail has gone into creating an atmospheric ruleset - I was particularly impressed by a section on dragging models with missile weapons, since I've kickstarter-ordered some of your walrus-men harpooners. Really liking that Dragon/Lizard man thing. Very interesting head. As a fan of the comic Slaine (which Darklands seems to have a lot in common with), I was wondering when we'd get to see a proper Warp Spasm. There'll be units of them. That one is based off the Fiannagh. There will be Tuanagh based ones too i.e. with double handed axes! Makes me want to finally finish reading all my Slaine books- I have just about everything published, but stopped around The King/ Time Killers, jumped to The Horned God, then jumped to The Book of Invasion. I'll get that Wyvern- ogre. Even more excited about armored Wyvern- men. Maybe they can teach the Albainn how to put on clothes. Damn, that Hippo`s turning out to be more awesome, than I even expected!!! I wonder what`s that bone colored material? Not a fan of snake people in Darklands, so same goes for the three headed snake people, it seems. And fast too - wasn't he in SH2? 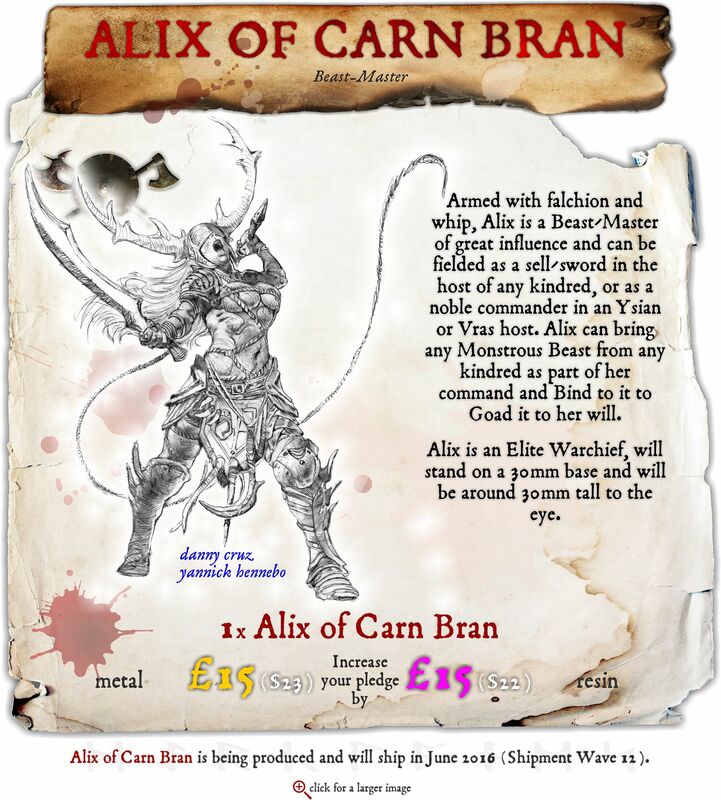 The superb Alix of Carn Bran is an Ysian Beast-Master and Sell-Sword, funded as part of the Savage Hordes project, that we think everybody who backs this project should be introduced to - because if you field her, you can field pretty much any monstrous beast from any kindred in your host! Alix of Carn Bran is an Ysian Beast-Master of dark renown, a beauty with the beast - for she is never seen without a monstrous creature alongside her, a beast that bends to her will and acts both as protector and enforcer. Alix is a sell-sword and will work for any kindred. She can also bring a monster of any kindred to battle with her, although that monster must be included within her command and so it would be a sell-sword like her. Bear in mind that allied contingents are limited to a third of the gold size of your host, so if your host is 2,000 gold strong you have 666 gold to spend on Alix and her monster. Alix may Bind to one Beast or Monstrous Beast unit (which would immediately gain the Bound Permanently (Alix) ability) - now called a Beast Unit - from any kindred when mustering, as long as that Beast Unit is not of Construct privilege. Effectively, mustering Alix enables her general to muster a Beast Unit from any kindred, although that Beast Unit must be included within her command - and so it would become a sell-sword like her. Alix may battle Bind to any Beast Unit from her own host, including any allies. Attack: Regardless of the Goaded unit's current vigour, force it to perform a compulsory embedded Attack action or compulsory embedded Attack Move action against an enemy unit it is currently engaged with or beset by. In short, Alix means you can bring some monsters that you wouldn't necessarily think of in your host! Is there a bonus figure with Alix like last time? If not, I'm wondering if the metal price is supposed to be lower... it's the same as the resin! mmmhh.. i only collect Ysians.. besides this reused model.. is there really not a single Ysian model in the campagne? Rob just mentioned that he's working on getting something for every Kindred into this campaign, with Albainn coming next. I imagine Ys will be soon after that? Oh my gosh - that concept is just awesome! It is awesome, isn't it? In a bid to give every kindred something to aim for, here's a stretch goal for the Albainn - the Oghu Watchers, Armoured Oghurithne Unit, set at £28,750 to unlock! 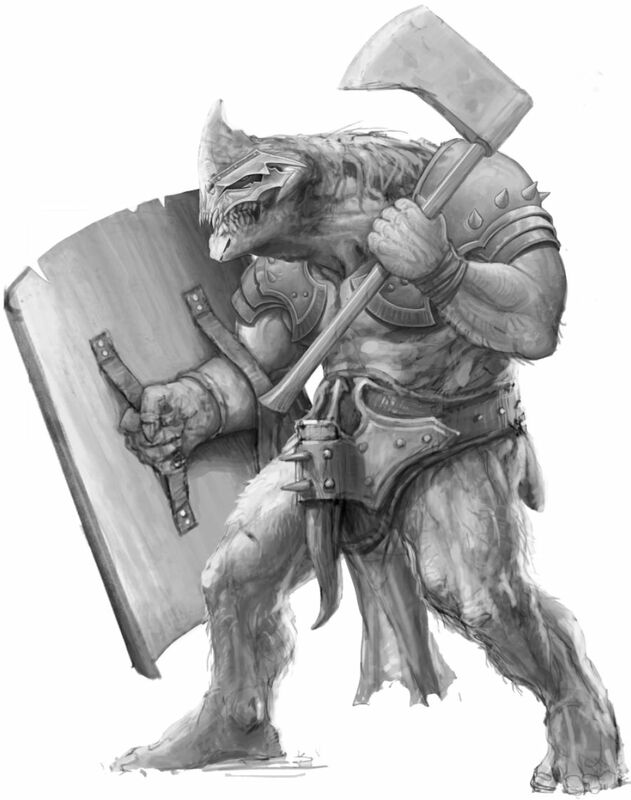 The Oghu Watchers are based on the original Oghu Keepers, Oghurithne Unit and will be converted by the amazing Yannick Fusier to have both shield and some extra armour, thus making them a shieldwall unit for the Albainn. 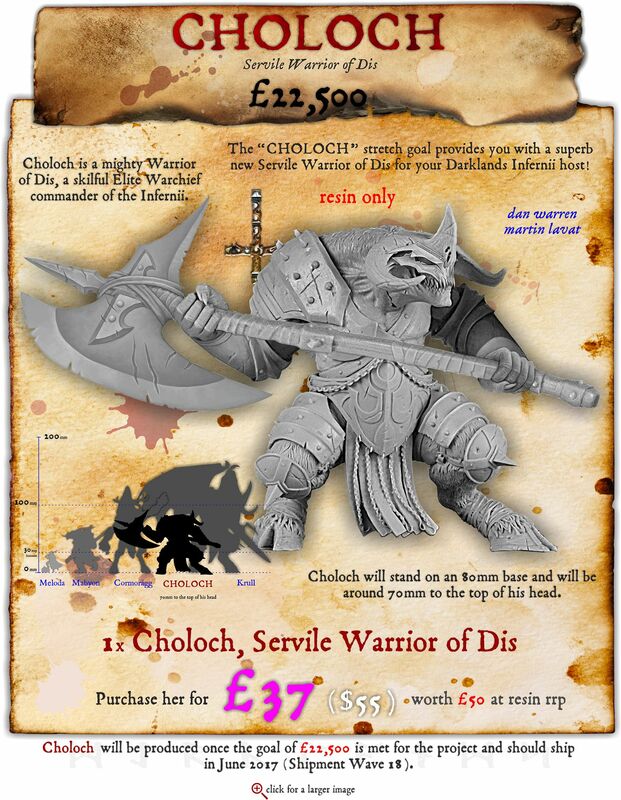 Increase your pledge by £60 to purchase the Oghu Watchers, £30 to purchase the Oghu Watchers extra warriors or £80 to purchase both. The Oghu Watchers will only be produced in resin for now (they probably will be produced in metal eventually, but we're sticking to resin at the moment). The Oghu Watchers - in unit form only - also count as a MIGHTY MONSTER and so can also be included as a monster within in the FIVE MIGHTY MONSTERS reward! I've just checked and it was in the last KS too. There's something at the back of my brain about it being a new sculpt, so needing to cover the cost of the commission, but that might have been my imagination or another model. Well crap. I guess I will be sending Mierce more money. I don't think there's a 'bonus' figure for buying Alix + spending £(X) this time around. Otherwise, I'd be buying another copy of Alix! I'd be happy to be proven wrong on this one though! My Brythoniaid forces need (I guess!) more squishy humans - I've apparently got too many giant lizards, dragons and dragon-men? I know Highlord - no such thing, right? So how many KS projects are they still fulfilling? And all the new stuff is mostly just artwork right now, no actual model pics, right? Funny how Mierce gets a free pass on these supposed travesties when any other company on KS gets raked over the coals for it. Probably because of years of consistent communication and delivery, with scupts that normally do a bloody good job of recreating the concept art. Sometimes a "free" pass is earned by doing the right things. They've currently got 6 ongoing with 4 fulfilled. It's because they're a known quantity now. They've managed to amass over 400 miniatures over the last two years! You also know who the sculptors are and, combine that with the fact that they don't close the pledge manager until the final sculpt is shown as well as the fact that they use some impressive talent means they'll continue to be popular. Thanks for the info Zed! No worries chap. It's hard to keep up with the amount of miniatures they've got on the go. There's also the fact that pretty much every sculpt has matched the artwork to a freakishly close level. One of the few exceptions to that rule was actually received as an improvement (Taai-ac - I'm probably one of the very few who would have liked the slightly puffier, somewhat 'cuter' original somewhat more). That is always very much appreciated Zed! More dragon-men with metal shields! Sounds like something Jonathan Ross would cook his eggs on. First of the Chelones (turtle bloodline) for the Khthones! Is that a 100mm or a 120mm? Either way - it is awesome. And I cannot wait for the 'Turtle-Men' side of things to start showing up! Such a shame, I would love to get some of these beasties but I promised myself that I would not back another one until I got my two srarter sets and rules. And the rulebook has started shipping - you're in the UK, so you probably should have received it by now! My rule book and Monstrous stuff has been in the " Packing" stage for a week. Hopefully it ships soon. That's about how long mine took too - thankfully it is on its way now. I think the Mierce ships things out in the order in which people place them, so if you get your order in/finalize it soon after the Kickstarter ends, you'll be toward the front of the queue for that campaigns' stuff. Hopefully we get a more modestly sized one at some point that isn't upright infantry. Was it hinted where it is in the queue? Take that art, put it on a 60 - 80mm base... Oh man, would be epic! Actually, I'm sure there will be some 40mm/50mm 'infantry' types and then some mid-sized beasts on 60mm to 80mm bases as well, eventually! Yeah I mean hosts! I kinda see them as starter sets (this games desperately needs them!). I'll be waiting a while for them as I don't think.they have even started my Atlantes host yet. I paid for single shipment but if I knew that the Atlantes were going to be pushed to the side temporary I would of paid for 2 shipments! Purchase another shipment item Overtyrant, and we'll send what we can. Ooo, look, an armoured Fiend! I'll look into it today. I have the June's and Rulebook from the first metal KS though I can't run demo's until the Atlantes are done. Thanks for the info. I didn't notice anything from the Atlantes infantry starter host from the first Metal Age KS in that list, unless they have changed the names of them. I think it's because the sculpts were originally from "New Kindreds"
I see them now, thanks. I'll admit to only partially understanding what ships when to whom (?) too. I'm fairly certain I've always paid for multiple shipping waves, but then there's some formula beyond that that will determine...things. For example, I paid for 'one shipment wave' for monstrous mounts - I got 4 of them, they're all done, and I recently got a shipping announcement for some stuff and...none of the Monstrous Mounts were included! It is some combination of when you lock in your order, how many waves of shipping you purchase, what's available when the ship a wave for you and...some other stuff! When you're first batch of new Kindreds models are ready, they'll use one of your purchased New Kindreds waves and send you whats ready. You also backed Metal Age and bought two more shipment waves. What they tend to do is (but no guarantee), when you're first Metal Age items are ready, they'll usually add in the New Kindreds stuff that's ready with your first send out so you get your metal age and New Kindreds order. You'll then wait until either your New Kindreds or your Metal Age order is ready in its entirety before the next send out. Again, if you have stuff waiting for dispatch from a previous kickstarter, they'll add that in with the current order. Thansk Zed - that is helpful! With five days to go, here's something very awesome - and very near! - to aim for: the superb Cowering Fiends of Dis, an Armoured Fiend Unit of the Infernii set at £31,250 to unlock! 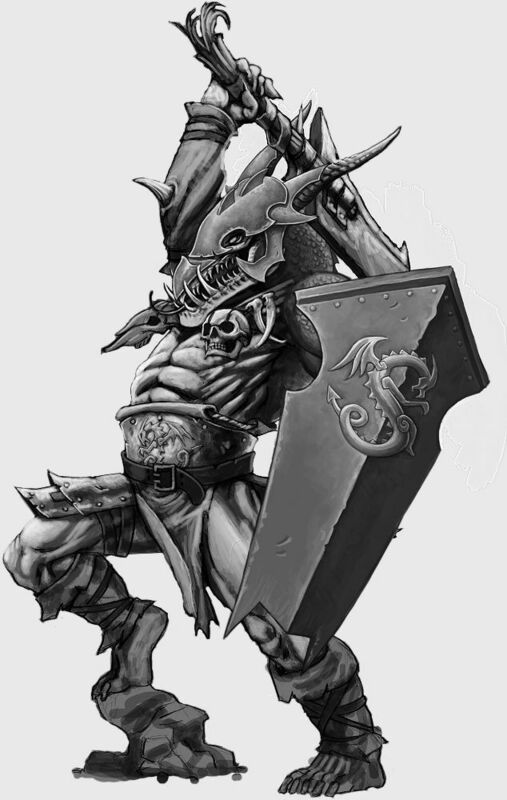 The Cowering Fiends of Dis are based upon the Infernii unit the Craven Fiends of Dis, gaining half-helms, pauldrons and scuta (shields) to become Armoured Fiends. Wild Monstrous Infantry, these guys pack a huge punch and with shields to defend themselves they are also tough to take down! The artwork shown above is in draft form; each will have slightly different shields and half-helms, and we'll update the stretch goal when we have the final artwork. 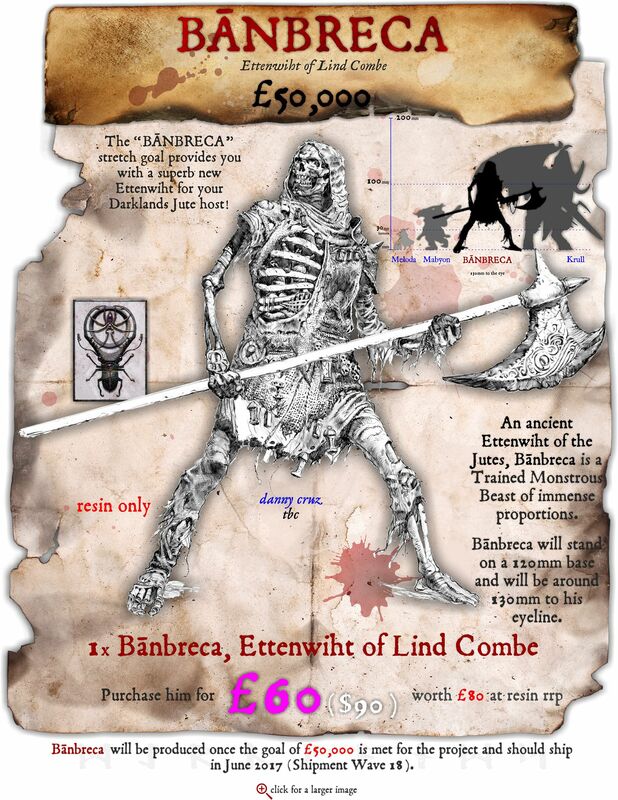 Increase your pledge by £75 to purchase the Cowering Fiends of Dis unit! Watch out for more stretch goals very soon! Still not single Ysian monster :( WHAT IS GOING ON?! Maybe Kingdom Death already used a lot of their body horror ideas? It's ok with me my wallet appreciates the break. I'm excited that my Metal Age Norse warband should be showing up in the near future. WIth Mierce and Red Box Games I'm going to have one sweet Viking/Varangur army to paint. that little axe looks sooooo cute! With Ammon in the bag, it's time to bring out the big gun in the shape of Great Axe Krull. Set at £26,000 to unlock, he's at this project's special price of £75 - almost 50% off the retail price! Great Axe Krull is, of course, based upon the mighty Krull, one of our very first big monsters. He's huge - he stands on a 120mm base and is around 170mm to the top of this wings - but don't take our word for it: have a look at the scale image on the graphic! Increase your pledge by £75, which is almost 50% off his retail price, to get a hold of Great Axe Krull. Watch out for more stretch goals soon - especially the advent of many monstrous infantry units and a new "FIVE GARGANTUAN MONSTERS" reward! How many days do I have to work out if I need a second Krull? This one finishes at 6am UK time - Rob made a little mistake in choosing the end time! Zed - Thanks for the list . Is there a reason the remaining sculpts for Metal Age are all listed as unassigned - that seems like a typo? Just received one rulebook in Canada (another on order hasn't shipped yet). For the first time in a while, It's Mierceday here at Darklands: First Edition II - possibly even the second-but-last update for this project, at least in terms of new miniatures to show! The alternate of Crom, Ax-Crom, has been so long in coming we thought he'd got lost: but here he is, thanks to Martin Lavat - and he's definitely been worth the wait! Ax-Crom should be a Wave 12 shipment. This week we have miniatures from three kindreds to show - something old for the Atalantes, courtesy of Duncan Louca; and something cool for the Brythoniaid thanks to Bob Plociennik! Duncan Louca has worked wonders on the Atalantes fellows so far - and Dynatos follows that trend brilliantly. Imagine this guy smashing into your enemies' battleline...You'll need an HTML5 capable browser to see this content. Gungonn's Brood is finished, thanks to Bob Plociennik's hard work! The last remaining warrior of the unit - the alternate of the banner bearer - is Cob ap Mab, and here he is! That's the unit done - but again, these guys may not make it into Wave 12 due to printing times. Let's hope so though! The Albainn and Érainn get some treatment from Valentin Zak this week, and what treatment it is! 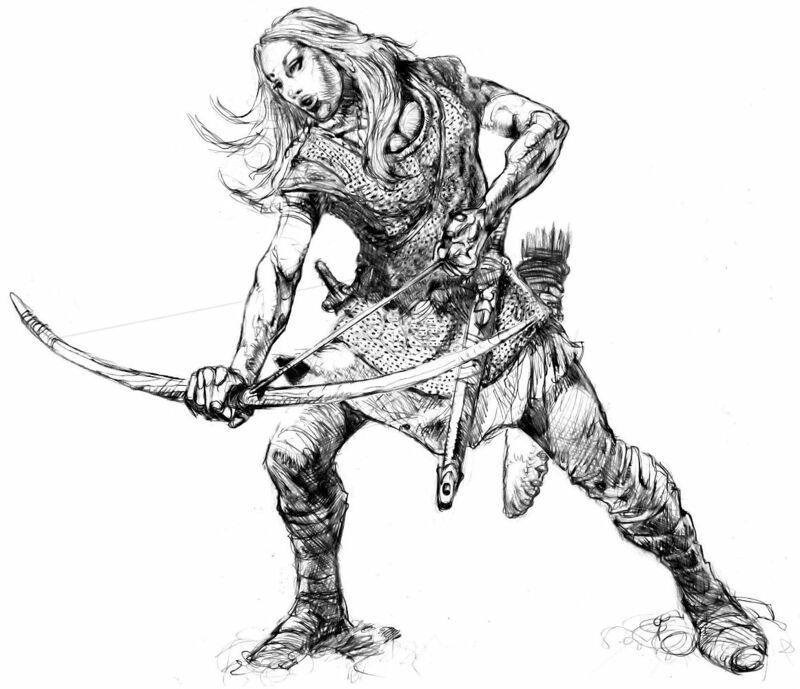 Valentin Zak's work on the Albainn Gairlom is amongst some of our most amazing human miniatures, and we're hoping the Crossbows of Dun Durn will be just as good. I say hoping, I mean expecting - Valentin is awesome! Early days, but the pose is there. Her pose has changed a little from the artwork, so we'll see if it works! Cimoith is loading his weapon. Bend that back! Put some effort in lad! A hoary old warrior, is Calorc! These guys, we're hoping, will be ready for Wave 12 - but we'll see. Ahhhh... the Fir Bholg Hurlers. Valentin Zak does it once more, and these guys prove to us that he should do all our Albainn and Érainn miniatures! Dougal is the champion of the unit, and pretty ugly, although that goes without saying for the Fir Bholg. Just don't get in the way of his dinner! Feargal looks a bit glum, and we don't know why. Maybe it's because he's not had some ale recently? A mighty big fat Fir Bholg, is Feargus, and we love him and want to cuddle him, wierdly. These guys are complete, so they should be a Wave 12 shipment! Here's the one you've been waiting for... the third update for the Darklands: Savage Hordes II project, and one in which a certain Hippo-Man will knock you off your feet! We have something for the Byzantii, thanks to Allan Carrasco and his amazing work! No words required here. Except one: ONUMO! ...and a look inside the bell of doom! Some really nice minis coming up, there. I especially like the Fir Bolg -- very characterful! -- and the varied poses on the crossbow unit. I have to say, as a fairly recent convert to Mierce, that I am MUCH more likely to buy the metals than the resins. The resin stuff just seems to be too fragile. Mierce are very good at replacing stuff that arrives broken, but my minis with spindly parts like spikes have pretty much all had some stuff broken off by the time I've carefully finished assembling them. You can glue them back together... if you can find the bits... but, yeah. Metal for me, from now on, I think, much as this stuff is gorgeous. Same here - I go metal for anything I can among the kindreds I collect! Of course it's only resin for the big beasties, but I'm ok with that too. 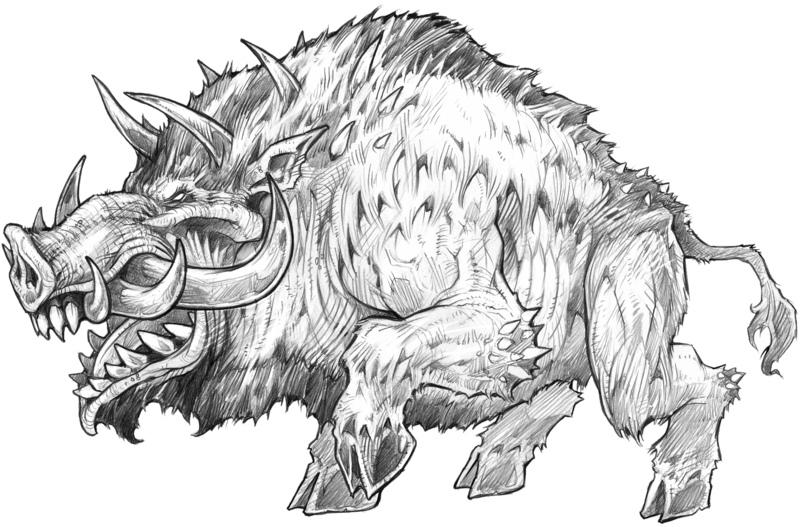 For the Angelcynn, a boar beast. Meant to be mounted on a 100mm base! Huzzah! 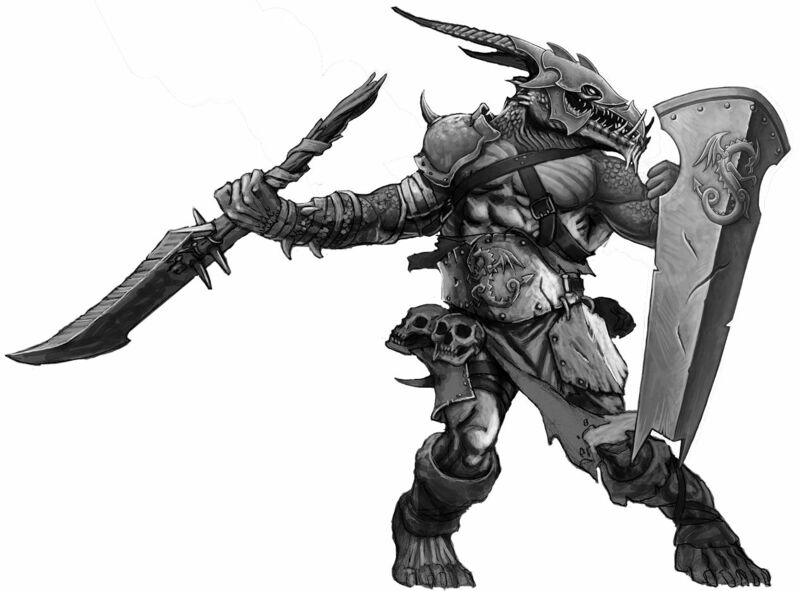 The Ysians have joined the party with the fantastic Marzaon, a Chimaera of ferociousness set at £33,750 to unlock, which is not far away... get pledging! Marzaon is based upon the Ungefelic miniature - a Mantichora - gaining the head of a bull and the head of an eagle for a chimera of smaller proportions than The Terror of Fortriu, and thus more likely to be seen on the battlefield. Increase your pledge by £45 to purchase Marzaon, who will only be produced in resin. Marzaon is a MIGHTY MONSTER and so can also be included as a monster within in the FIVE MIGHTY MONSTERS reward! I've asked if this smaller Chimera also has a breath weapon attack - I hope so! But based on the heads, maybe not? Ha! I just saw that! Does the new Chimera have a breath weapon? Why can't it have a fart weapon then? 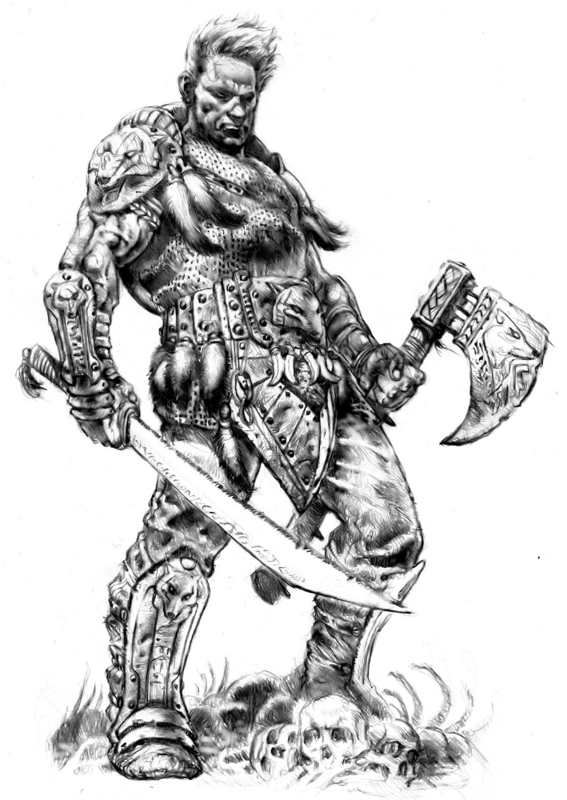 The Trolls of Gunnheim comprise three existing miniatures - one of which will convert into a great cleaver variant, Vörtun; Gjöll and Unnolg are fine as they are - and two new Trolls, Gando and Valdr. 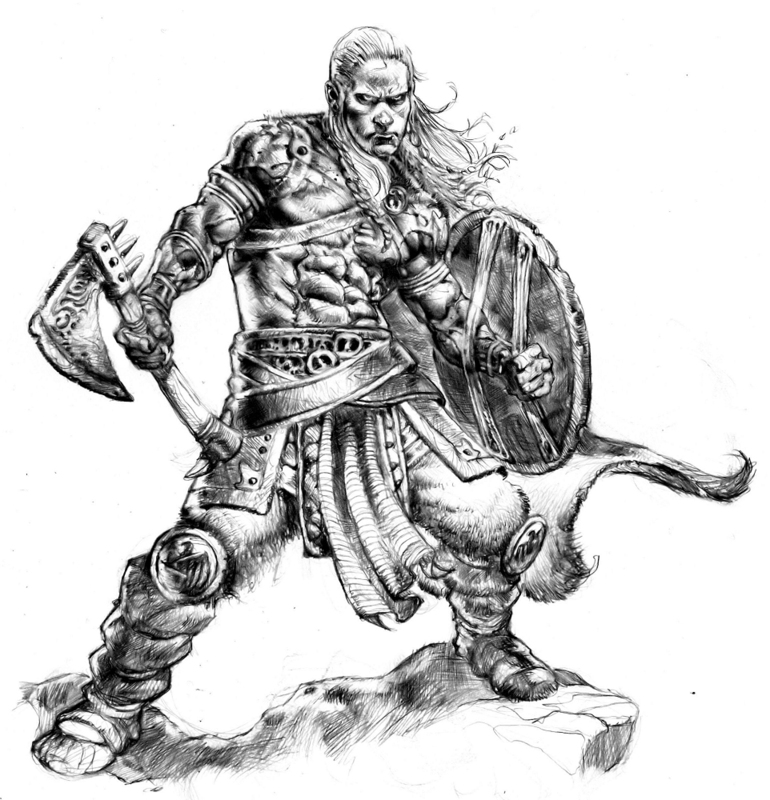 There's also an alternate warrior of the banner bearer, Jöllu! 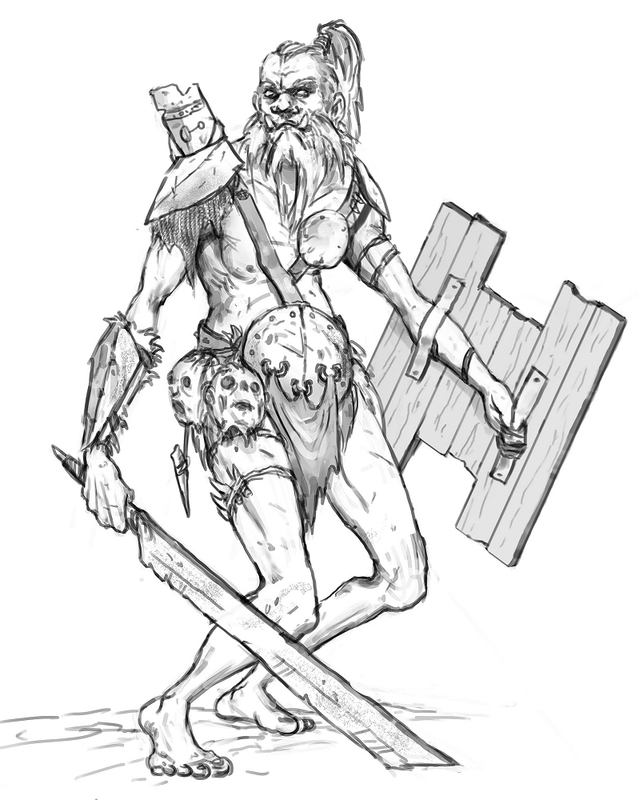 Increase your pledge by £75 to purchase the Trolls of Gunnheim unit, or - with Jöllu - £85. The unit of five or six can also be purchased within the "FIVE GARGANTUAN MONSTERS" reward, comprising one of those five choices! 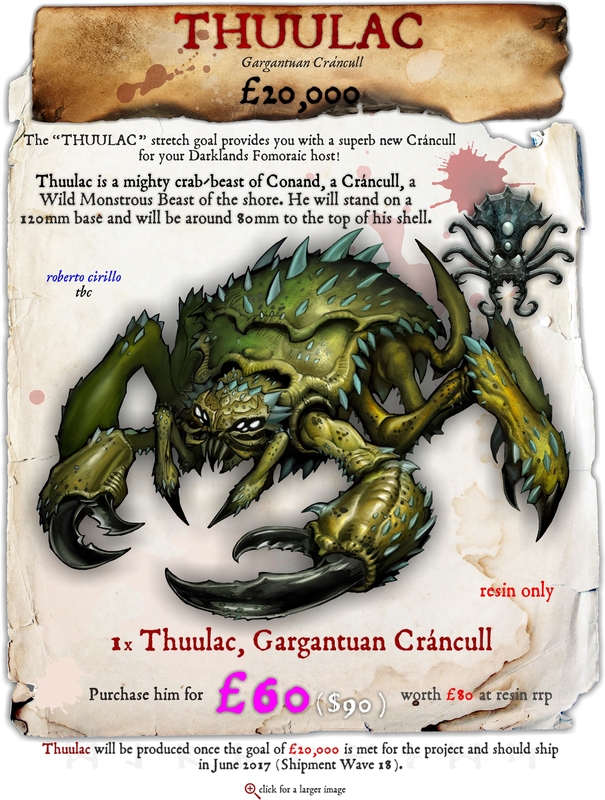 With the almighty strength of Crémharunc the Earth Beast now unlocked, let's give the Érainn something more to deal with their enemies... the awesome Murderous Cúlaítar, set at £36,250 to unlock! 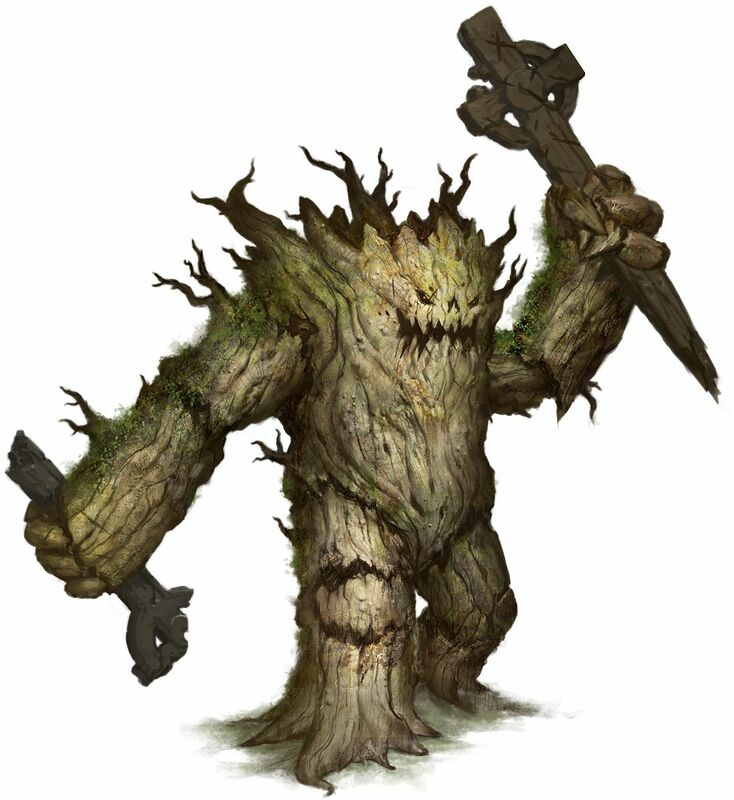 Murderous Cúlaítar is an oak beast based upon the original Cúlaítar miniature, now armed with high crosses - the better to batter an enemy to death with! He is a Wild Monstrous Beast of the Érainn and will stand on a 120mm base. Increase your pledge by £60 to purchase Murderous Cúlaítar, who will only be produced in resin. Murderous Cúlaítar is a MIGHTY MONSTER and so can also be included as a monster within in the FIVE MIGHTY MONSTERS reward! It's time to bring you another MIGHTY MONSTER, and something totally different, too. 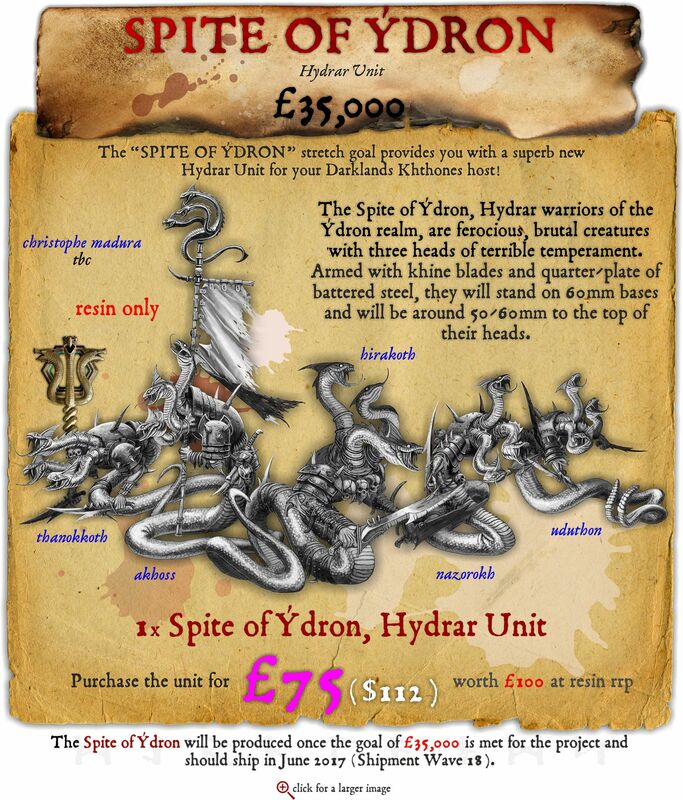 Here's Schyrós, a huge and implacable Khelon for the Khthones - set at £45,000 to unlock! Schyrós is of the Khelones realm within the Khthones kindred and is a Wild Monstrous Beast. Used as a beast of war in the armies of Ophios, Schyrós is invaluable to his cause and a terrible enemy of the Atalantes. Increase your pledge by £60 to purchase Schyrós, who will only be produced in resin. 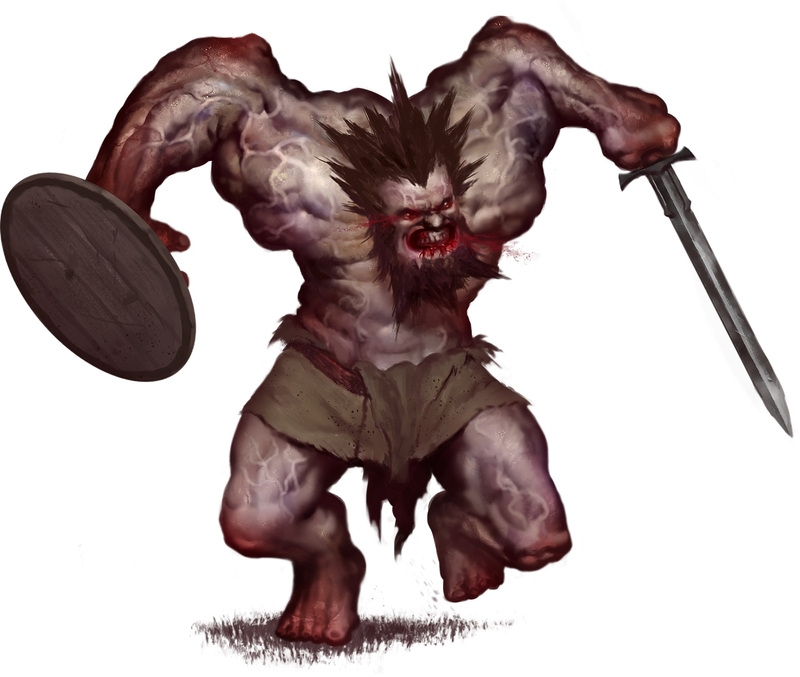 Schyrós is a MIGHTY MONSTER and so can also be included as a monster within in the FIVE MIGHTY MONSTERS reward! I think this one will end up between £40K and £50K - maybe. The problem here, if there is a problem (and I don't think there is! ), is that the 'good deal' is already out there and available, but for some reason people aren't jumping in on it! The '5 Mighty Monsters' pledge for £250 basically is a 'buy 4 get one free' thing, but only IF you want 4 or 5 of the big beasts on offer this time around. It looks like people don't really know this, or it isn't resonating enough with them, or it isn't 'obvious' enough - not like the "Alix Bonus" or the "Spend (x) to get (y) Free!" bonus from SH2? 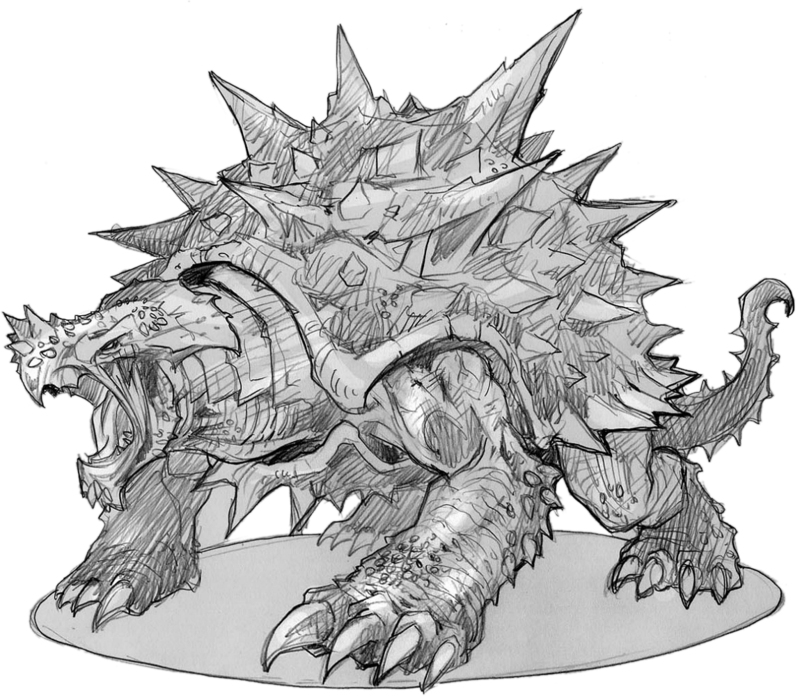 This campaign feels a lot like the "Monstrous Mounts" campaign, which was intentionally limited in scope - but with a bit more variety this time around as a bonus. I think maybe the timing of this one is a bit off too - maybe if the hardcover rulebook (which is just making its way to backers now) had been out for a bit longer, and with the 'general public' too? Either way, there's a lot of fantastic stuff on offer right now, and I hope we get to at least £50K - even though that will mean a lot more damage to my bank balance! The problem some people might have is that £250 is a lot of money to spend to get a free model, Alix was cool as you could choose how much you wanted to add depending on what monster you wanted. Unless you're in the Infernii boat there's only one or two monsters per kindred as well so depending how many you are in for already its quite limiting. Most of the models aren't really grabbing my attention either which is a first to be honest. Athena is nice but I'm not in for Atalantes at this point in time which only leaves the Peat Beasts and Howling Cnebba. Schyrós is rather amazing though just a long way off. In response to many requests from you, our loyal backers, we've decided to give you two new "deal rewards" that give you much more flexibility than the "five monster" deals - and a bit more of a discount too, with the bigger one! 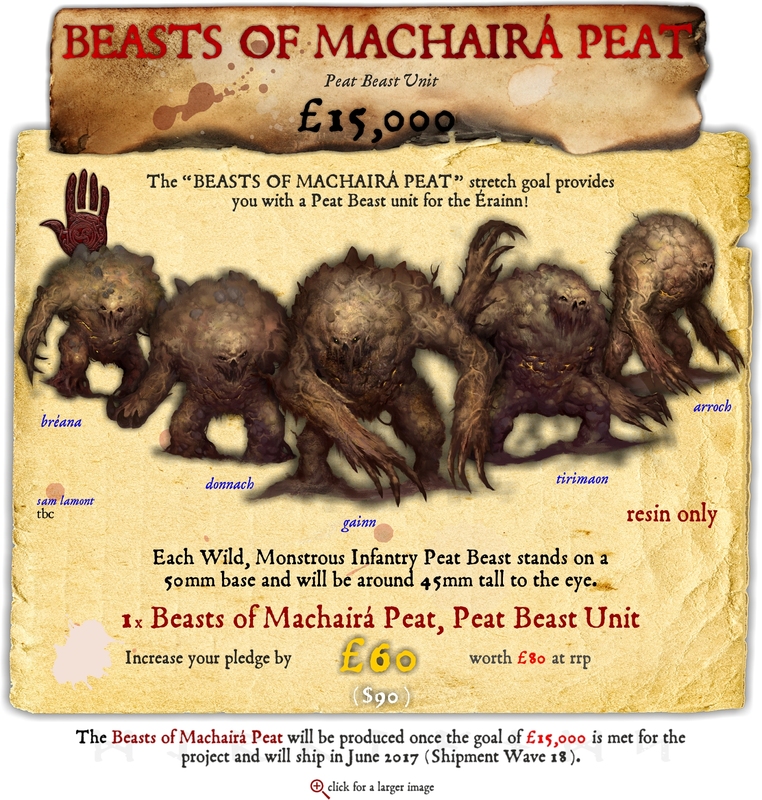 With this reward you can choose any number of monsters or monstrous infantry from this project, as long as their total Kickstarter price (in purple) does not exceed £300 - all for just £250 ($375), effectively giving you £50 worth of monsters for free! So, for example, you could choose five MIGHTY MONSTERS at £60 each, or maybe five MONSTERS at £45 each and Great Axe Krull at £75... any combination you like! This reward allows you to choose any number of monsters or monstrous infantry from this project, as long as their total Kickstarter price (in purple) does not exceed £500 - all for just £400 ($600), effectively giving you £100 worth of monsters for free! Remember, you can choose any monster or monstrous infantry unit shown in this project, including those from the "MONSTERS" or "MONSTROUS INFANTRY" graphics! 1 - THE "MANY" REWARDS WILL NOT BE AVAILABLE POST-PROJECT - i.e., you must back this project, and choose one of the "MANY" rewards, to get that deal. Restricting this to backers only ensures we hit those stretch goals that everybody wants - purchasing them post-project doesn't unlock anything! 2 - To choose what you'd like, simply tell us your choices when you manage your pledge after the project, in the "Special Instructions" box when you go through our website's basket. 3 - If your choices do not reach the total Kickstarter price for a reward, that's it - you will not be given the remainder in Moneyback. It's up to you to extract the maximum deal! 4 - Do not choose anything from previous projects as part of these rewards - you will simply be asked to choose something else if you do. 5 - You can go for both "MANY MONSTERS" rewards if you wish, or choose multiple amounts of either. If you go for either "many" combination reward, you will have access to both post-project. That's it Miercenaries - we've given you the flexibility, now use it! The Kickstarter commenters have spoken... put out to a vote as to what would be the £42,500 stretch goal, the Leiptrolls won! The Trolls of Vartheim are Wild Infantry of the Norse on 40mm bases and around 40-50mm tall. Able to devastate their enemies with lightning strikes, these guys come a bit keen and no mistake - so don't miss out on them! Increase your pledge by £36 to purchase the Trolls of Vartheim in metal, or £54 to purchase the Trolls of Vartheim in resin. Watch out for more stretch goals shortly! Haven't Troll units generally been quite a draw to Mierce KSes in the past anyway? Besides, I'm not so sure what crowd an OMGfethuge boar model would suddenly pull in, tbh... It's not like it's something all that iconic like a dragon or demon or chimera or somesuch. And that kind of underscores why the performance of this KS is what it is - and that's not saying it is 'bad' or 'underperforming', just that it is doing about what it should be expected to do. The "Monstrous Mounts" template, vs. a campaign with lots of 'hosts' and such, for lots of Kindreds. Mierce is a self-professed Kickstarter Company, with 4 a year being the usual for Darklands. He is already being produced of course, thanks to a previous mailshot and project, but we thought it would be remiss not to give you the option to grab him as part of this project. So here he is, the mighty Maatmäg - a Gigantic Mammox that will be yours at £34,000! 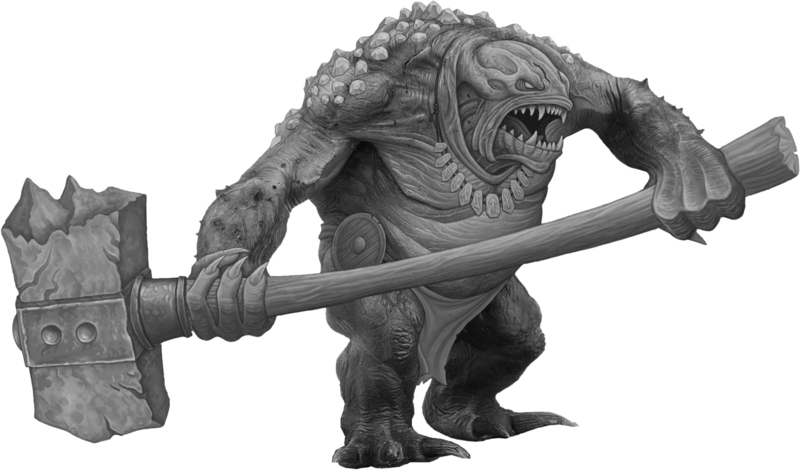 Maatmäg - a huge monstrous beast for the Fomoraic which will probably be bigger even than our biggest so far, Krull - will be sculpted by Dan Cockersell, a master sculptor who has sculpted a number of our amazing monsters, most of which are our best miniatures! The mighty Krull, for example; or our amazing Chimaera, The Terror of Fortriu; or Blood-Maw, or Uuthüll, or many, many others. More pics - follow the link! An Elite Warchief of the Infernii, Great Axe Malacant is more than capable of chewing gum and taking souls, and he's all out of gum. 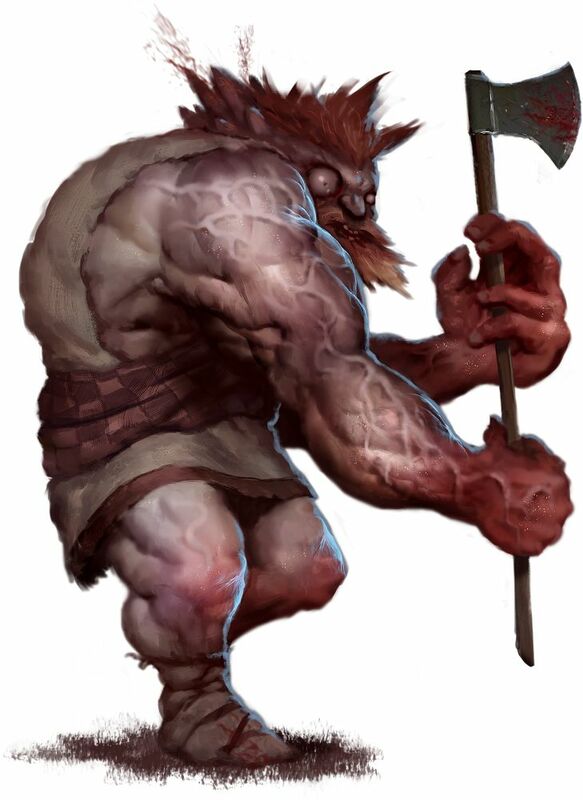 He is based upon Malacant and Choloch, of course, and very tasty to boot: a Servile Champion of Dis with a great axe is a death-dealing tornado of destruction. Increase your pledge by £45 to purchase Great Axe Malacant. That Ograx would look good hanging with all my non-Mierce Ogres. Starting to get a bit of a soft spot for big dumb lummoxes wielding large weapons. So here's the thing. You want a unit of five dragon-men, armed with shields, cleavers and able to breathe fire, right? Here they are - the Shieldwall Dyndraig, set at £38,750 to unlock! The Shieldwall Dyndraig are based upon the original Dyndraig, which are some of our oldest - and best! - miniatures. They each gain a mighty shield and a one-handed cleaver, as well as a bit of head armour; and they retain their ability to breathe fire on their enemies. Wild monstrous infantry of the Brythoniaid, the Shieldwall Dyndraig are truly worth their weight in gold! 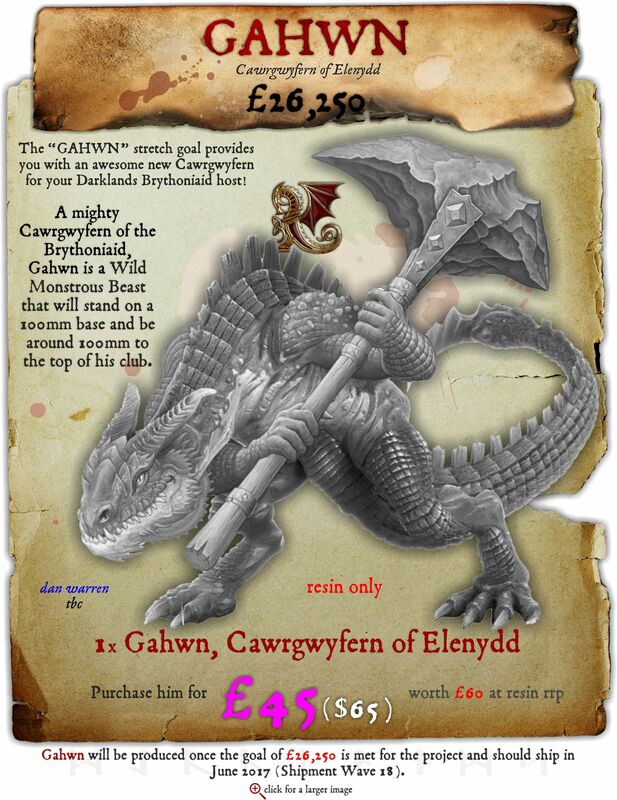 Increase your pledge by £75 to purchase the Shieldwall Dyndraig, or - with Naegwg - £85. The unit of five or six can also be purchased within the "FIVE GARGANTUAN MONSTERS" reward, comprising one of those five choices! I hope this campaign gets at least to £40K! I'm almost starting to regret going Khthones instead of Brythoniaid for sort-of-second kindred by now. Damn, those look good! Ok serious question- how does anyone actually afford this game? I mean I am going in for one of the monstrous guys but heck that alone is costing me what would essentially be an entire faction in like Infinity, Malifaux or Dark Age. How does anyone build up an army to a playable size? (Not to say anything about the models- I love a lot of them, I just don't have several hundred+ dollars to drop on that). The easiest way to get Darklands stuff (on the wallet at least) is over time. I've been picking up Mierce figures since around the end of the first Kickstarter (spring of 13 I believe?) as sculpts started showing up in the updates, and over time I've got a pretty decent setup for three different kindreds. I just picked up a figure or two a month, depending on their size. I've got a pretty limited monthly hobby budget compared to what some of the other guys get to drop, but I do try and add a few extra figures to my orders prior to them shipping. The metal kindreds were a pretty good value for what was offered too. A commander, a mainstay unit, and some sort of monster or monstrous infantry is all you actually *need* to get started. What Highlord mentioned, plus the occaisonal reckless spending spree. That's tough for game adoption, though, as the best deals are always to be had in the KS bundles - which in the case of many campaigns have you bundling multiple factions together. I've seen this with a lot of Mierce addicts Miercenaries that they will continually be adding to their resin queue... but not settling on one force and building it to a playable size for the present (not counting possible future additions / things that are in the queue). I don't really know how you guys have such patience, I tend to snap things up at retail (got quite a few Broga models, and Chaagmuth bits for my current project!) but it seems like it'd be nearly impossible to plan an actual army / hobby project / etc on the queues for a lot of the sculpts. I think the Metal Age host deliveries may change this, and I'm very hopeful for that . But I think there should be a push for it in some way (any ideas, Dakka?) 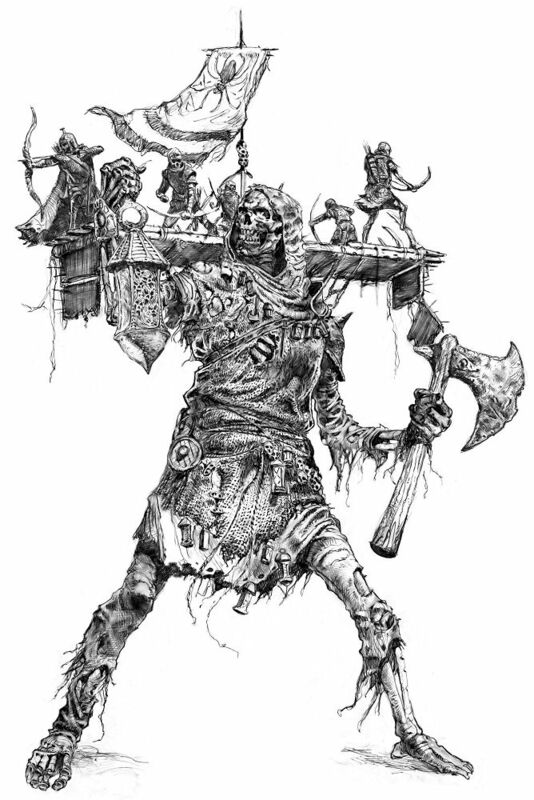 as right now a lot of Darklands armies only exist on paper while painters turn single monsters / units into beautiful creations. That's the next step to get more folks backing and really buying into factions! Part of the problem is a Canadian is back to dealing with a currency worth a portion what it used to be. I got most of my stuff a few years back when 1£= around $1.50 Cdn. Nowadays it hovers around 1£= around $2 Cdn. It's unfortunate because we're completely at the mercy of nothing we can control. Very much this. The dropping dollar has decimated my ability to go in on non-dollar KS recently. Well I suppose I will start with the snake people and spend the next 3 years gathering a force... the struggle begins. That 87 quid is a decent starter force right there. Ask Rob for access to the SH PM part of the store, he's been fairly lenient about such things so far IIRC. Yeah email Rob and see if you can get access to the previous KSs then for £60 you can get one of the metal starters which is enough to play the game at a small level. Most kindreds will work if you start with one starter then add another and then add a monster which is a relatively cheap way into the game and a smooth way to build up a legal force. It's never going to be as cheap as infinity or malifaux Orr something but the quality and scale isn't the same as those games. Only plesged a single pound this time to stay updated. Who knows? Maybe some Ysian monsters/characters will come in their next Kickstarter who starts this week? Is the metal SH not going to be avaliable when the KS has been completed? Just the opposite - the metals will be available to all once they've shipped to KS backers. And they really are the best way to get into the game! For £60/$90 you get 13 30mm based miniatures and 2 60mm based miniatures. Not 'bargain basement' pricing, but it is really good considering the quality of the sculpts and the casts! And most things 40mm/50mm and below will be getting 'metal' options going forward, so that helps a lot too. Okay - provisionally, Mighty Monsters Part Deux will end on May 31st. That suit everyone? That's the host I'm waiting for! Was worried that they weren't going to do the metal hosts! I'm having a hard enough time convincing some of my gaming group to give it a go due to all the Malilstrom shenanigans let alone if they only did resin SH! Mierce has a really goo track record when it comes to customer service, Kickstarter Deliveries, quality of sculpts and casts, and matching artwork to actual miniatures. They are on the 'high end' of the price scale, but I think they're 'worth it' in terms of what you get for your money. Now that the official rules are out in book form, I think the game will begin to gain some momentum as well. Has anyone seen the drinking companions added to their orders on the website yet? 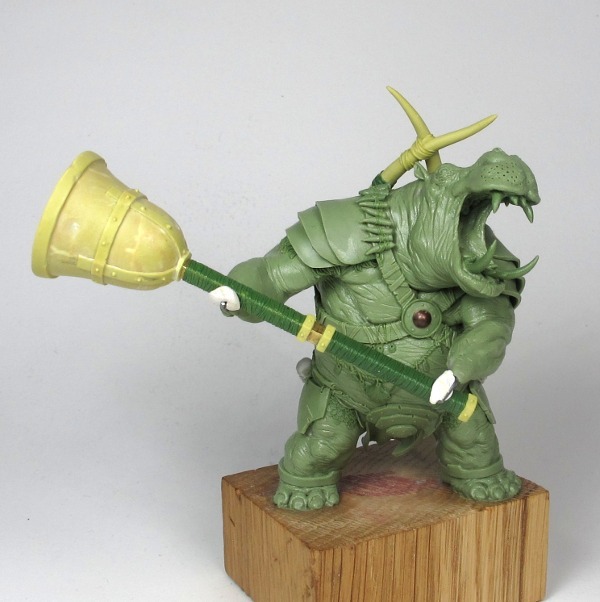 I went for Boozing Rollo in Metal age and he isn't on my orders yet- I know he probably hasnt even started to be converted yet but all my other unsculpted/unconverted stuff is listed in my orders and he isn't. I asked a while ago, Rob said he simply hasn't got around to adding the drinking companions to individual orders yet. Given that most still haven't been started I can see how it would make sense not to prioritize what is apparently a dog of a job just yet. Hopefully everyone used this brief window to sell any superfluous organs. 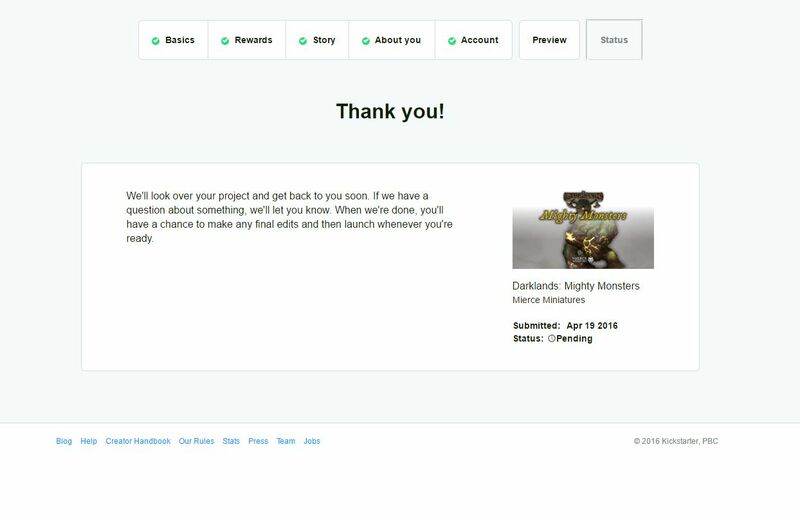 I hope Rob is flexible when it comes to adding on MM2 stuff on to an existing MM1 pledge! I got my rule book! My rulebook and Monstrous Mounts are still Packing....argh. New one up and funded! MIGHTY MONSTERS PART DEUX is NOW LIVE! ...and already at £4,321 of a £2,500 initial goal. And, as a surprise to no one, I want all of the four units currently listed!!! Well, 1$ for me atm Will check in regularly though. I went for the sentinels, and will see about getting in on one of the earlier ones for a infantry host. Schyrós is unlocked - huzzah! I really do want more human Jutes. Are the Leiptrolls smaller than the regular Norse Trolls? I thought they said during Metal Age that the Trolls were too big to be done in metal? 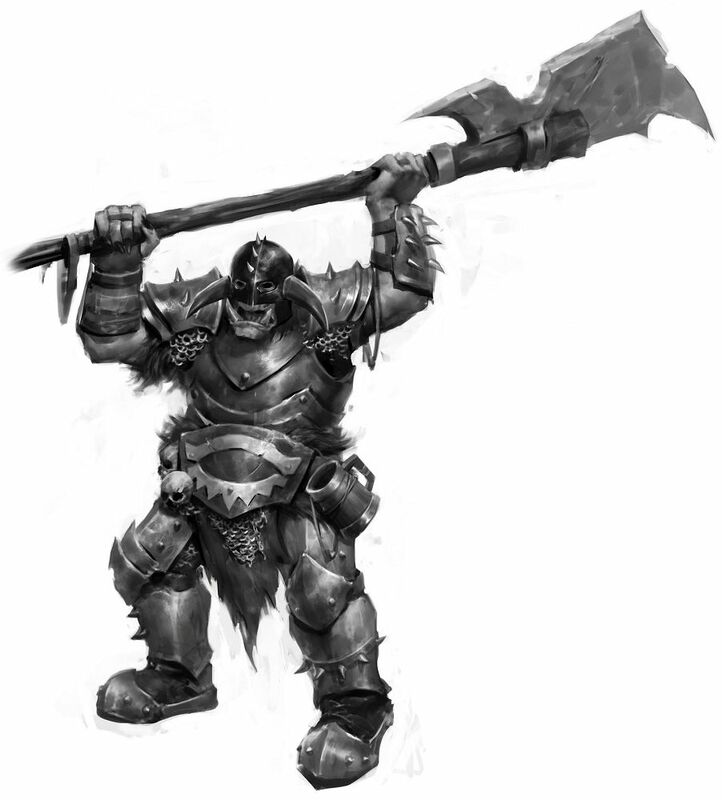 I ordered the Metal Age Norse warband and I thought Mierce said the troll was going to still be resin to save weight and cost. If the regular trolls are going to be available in metal I need to buy more. If I had to guess, and it is only a guess, fluff wise the fact that they're magic users means that they're smaller, and they're on 40mm bases rather than the standard 60mm for punchy trolls, so definitely not as large. Half troll and half what else though? "Aww man, last night I thought I was going home with this hot girl and 3 of her friends. This morning it turns out it was just the one girl. Makes a mean danish and cup of coffee though." Wow, that funded really quickly! I had thought people would be tapped out, apparently not . Hope the Boar makes an appearance! I had promised myself that I would avoid Mierce Kickstarters until the missing unit from my Metal Age Kickstarter arrived. I haven't gotten anything from METAL AGE yet - I'm jealous! If I lived near you, I would - but as I don't, I'll just wish you the best of luck with that! This campaign is doing very well - it looks as if the original one had lasted maybe a week longer, all would have been unlocked there? But the good news is that we're getting even more new stuff here - including those Bronze Hounds, which are almost unlocked! Much prettys. 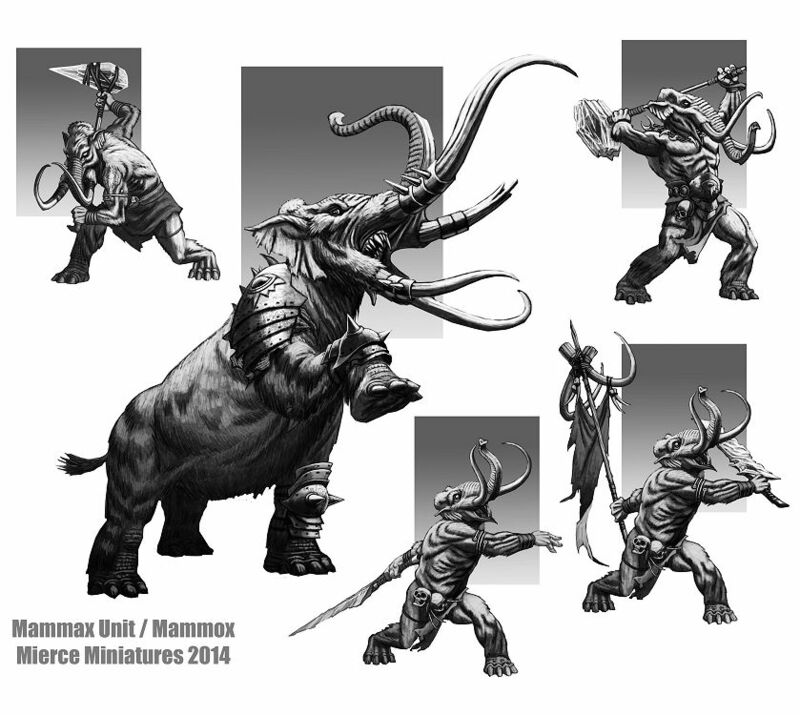 Shame us Scions Of Baalor have only got the Mammoth so far, and if I could afford that I'd have already bought it! We had Conand's fishy fellow's. Hopefully, the Ograx and the Mallax will make an appearance if funding continues. Also, Armoured Tarvax, Srónacxv and Mammax were mentioned as candidates. The Bronze Hounds caught my eye as well, and I have a really inexplicable urge to paint up some Bog Beasts. Left to right: Duguth, Jute Wiht Thain, Ætulla, Wihtgar, Maagaan. Maagaan is a massive model, but then again, he's supposed to be 2m/7' tall. But, the skellies are perfectly in scale with the rest. Got these Jutes yesterday along with a bunch of Erainn. They're incredible and I can't tell any loss of detail when compared to the resins. Damn, those do look great. I have no idea what my shipping situation is right now. I think I've paid for 2, but I don't know what that means anymore. I did get my rulebook last week! Just in time for us to finish the basement and not be able to touch any hobby stuff for two months. Giant Crab Beast and Big Crab Men - good stuff! I do hope the Mallax make it in - that is the Sloth Men, right? Yep, I wouldn't be able to resist the slothy Mallax. I keep trying to stay with just 2 factions but there's too many awesome things. I use to Norse and Brythoniaid, Norse and Formoric. Then it moved to Albiann, Brythoniaid and Formoric and not it's Albiann, Jutes and Formoric. That's not even including all the things I get just because it's cool. I trust RiTides put in the extra £45 already? Love the text on that one! ...is a Feral Monstrous Beast of tusk and spike and bad breath. Just got the dispatch notice for my Metal Age guys. Very excited! That time Ysians were first. LOVE THEM. Casts are 9.5/10. Superb. Only some super expensive resin casts were better. NOTE: Mierce looks to have moved away from "Angelcynn" to "Anglecynn" now. Not sure when it happened though! The Byzantii one is supposed to be some sort of gladiator! Dispatch notice came in today. Woo woo! Friends who have the book already said there's only 11 pages of fluff in the rulebook, which is a bit disappointing. Was hoping for a bit more to sink my teeth into. I suppose that will all be in Savage Hordes, but does anybody have any idea of when that is slated for release?